A recent visit to Mumbai, provided opportunity to see this historic place!~ there was so much of crowd – busy in moving and reaching their place, unmindful of its past glory !!! At the start of this year, read in newspapers of a deal, of largest Office space deal concluded – a Software major signing up to pick up 19 lakh square feet for its biggest office under one roof at Hiranandani Estate in Thane. It stated that it could house around 30000 employees – a long term contract with the option of a reset clause every three years. The monthly lease rental for the space was reportedly between Rs 50 and Rs 55 per sq ft and that the annual lease rental for the property could be in the range of Rs 120 crore to Rs 130 crore. Mindboggling ! – every city suburb nowadays sees the mushrooming trend of backoffices of IT/ITES and other Service industries including Insurance. The subject matter is not anything of property or rental value but historic significance ! Many of us still love the travel by train ~ not the hustle in an electric train – in olden days, the first advice from elderly was not to be seated in window and look out – for flying coal pieces could fall in eyes !! – those were the days of locomotives, the engine that provided the motive power. Locomotive originates from the Latin loco – "from a place" + Medieval Latin motivus, "causing motion", first used in the early 19th century to distinguish between mobile and stationary steam engines. They did not have any payloads and had the sole purpose of pulling the train along the tracks. Traditionally, locomotives pulled trains from the front. A steam locomotive is derived its pulling power through a steam engine, fuelled by burning combustible material—usually coal/coke, wood, or oil—to produce steam in a boiler. The steam that was generated moved the pistons connected to the train wheels. The first steam locomotive, made by Richard Trevithick, first operated in 1804, three years after the road locomotive he made in 1801. Steam locomotives were first developed in Great Britain during the early 19th century and used for railway transport until the middle of the 20th century. From the early 1900s they were gradually superseded by electric and diesel locomotives, with full conversions to electric and diesel power beginning from the 1930s. In India, Indian Railways decided to eliminate steam from regular running several years ago, and has largely succeeded. 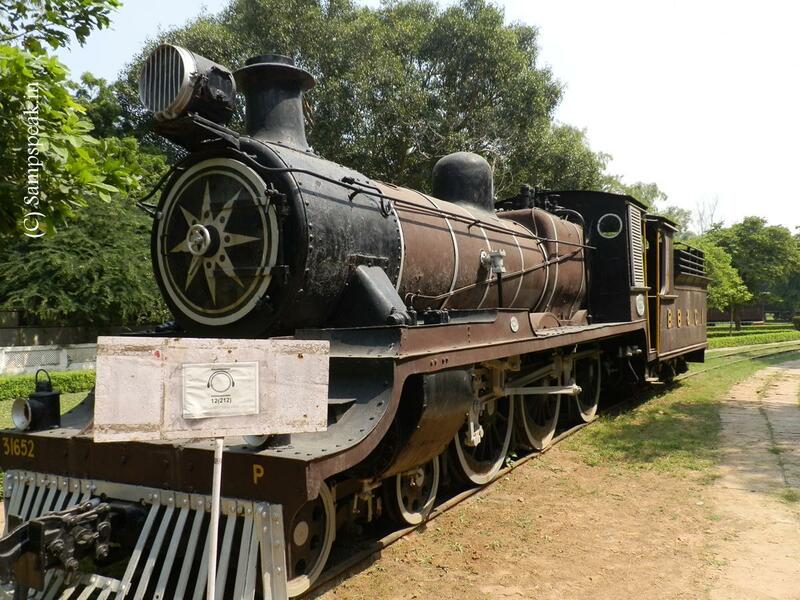 The most well known locomotives could be the trio called ‘Sahib, Sindh and Sultan’. These three historic locomotives hauled the inaugural passenger train on 16th April, 1853 from Boribunder to Thane, a distance of 21 miles. It appears that the first locomotives used solely for construction came from Yorkshire – an experimental line was built from Kalyan and in 1853 it was decided to have a terminus at Boribunder. The first passenger train chugged off, pulled by the 3 engines and comprised of 20 railway carriages having around 400 guests of honour. The journey lasted mere 75 minutes from 3.30 pm to 4.45 pm – heralded by salute of 21 guns. Some people on the way side, ran out of the way shouting it to be a demon – for conceptually it was new, though it was not the first ever train to run in Indian soil. 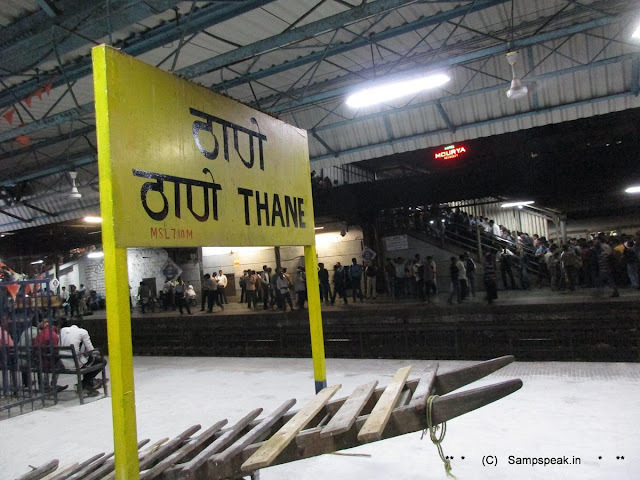 The train service was from Bori Bunder to Thane. Bori bunder used to be a storehouse for imported goods and those awaiting shipment. Read that 'Bori' mean sack and 'Bandar' means store; Bandar also means port; Built by the Great Indian Peninsular Railway, the station had the honour – it was not the last ever as it faded; decades later, the station was rebuilt as the Victoria Terminus, named after the then reigning Queen Victoria, again renamed Chhatrapati Shivaji Terminus (CSTM) after the famed 17th-century king. 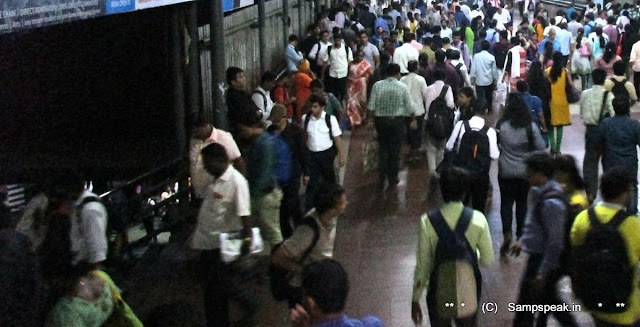 It is a very important locaton – total 154 passenger trains Start/End/Pass through Chhatrapati Shivaji Terminus. At the other end was Thane (thana !) – a place that had a fort dating back to 18th century. It was a major port in 14th century and later came under British occupation. 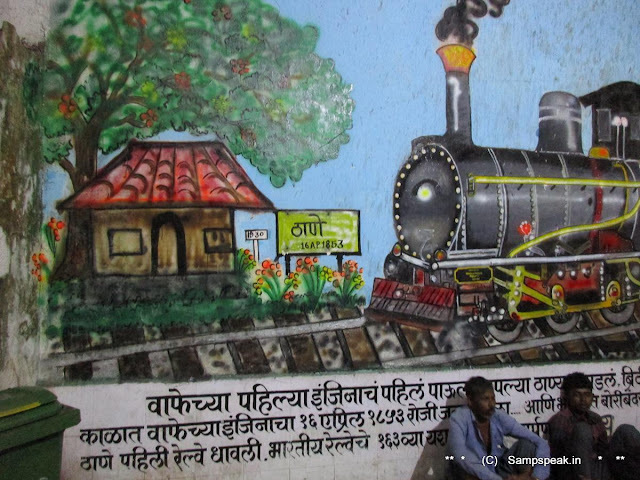 A book titled Making of India reveals that the idea of railway to connect first occurred to George Clark and a meeting of prominent citizens wad held in Bombay in July 1844 – around which time, the Great Indian Peninsular Railway was formed in England. 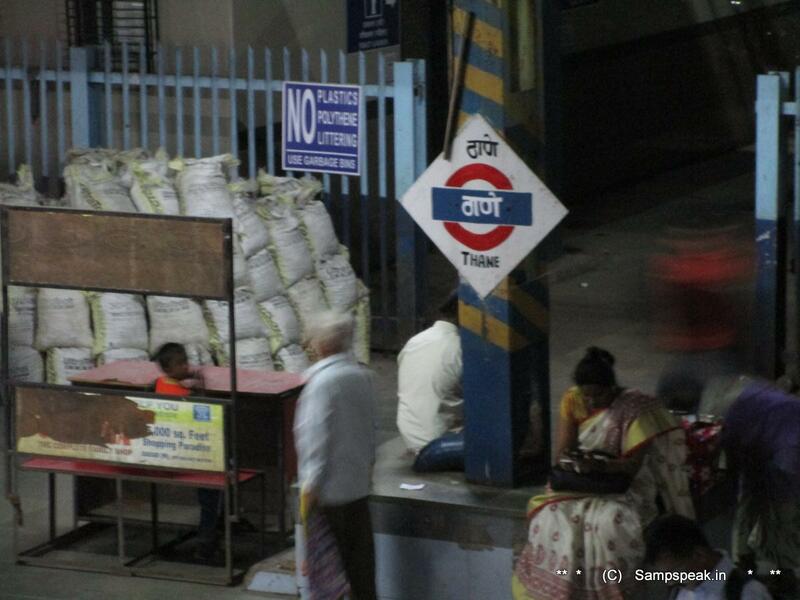 When the first train reached its destination Thana, refreshments were served in tents. The inaugural engines – Sultan, Sindh and Sahib had been built at Vulcan Foundry near Manchester, and were from batch of 8 contracted. Later, Sultan was named Lord Falkland as a token of respect of the then Governor of Bombay Presidency. 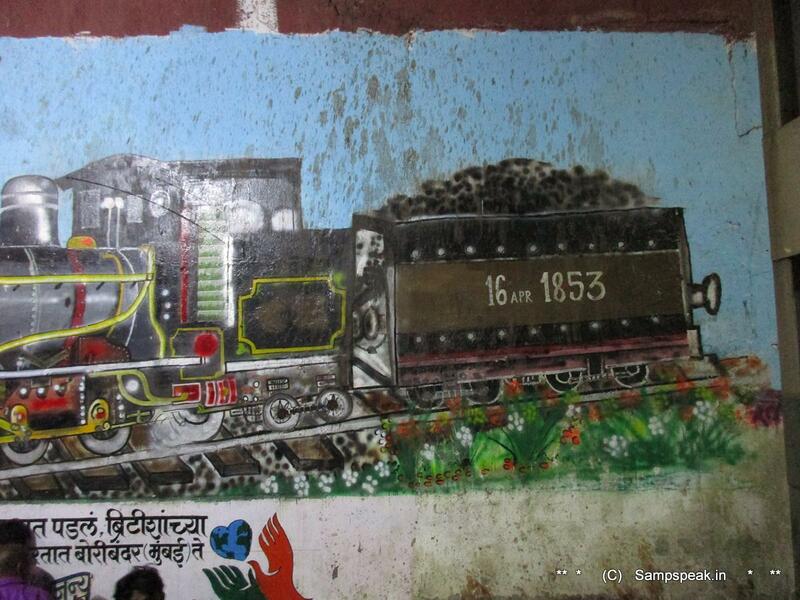 Vulcan Foundry claimed in its leaflets, that they had the distinction of exporting first ever locomotives to India. 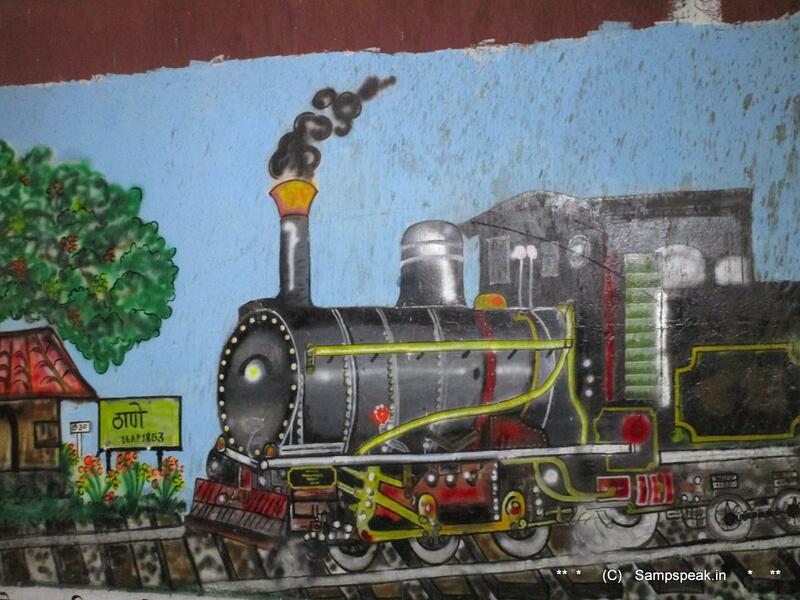 The Railway line was extended to Kalyan an year later and to Khapoli, a couple of years later. As stated those were not the first engines nor was that inaugural run, first ever in India, though it was the landmark first run of a passenger commercial train in India. 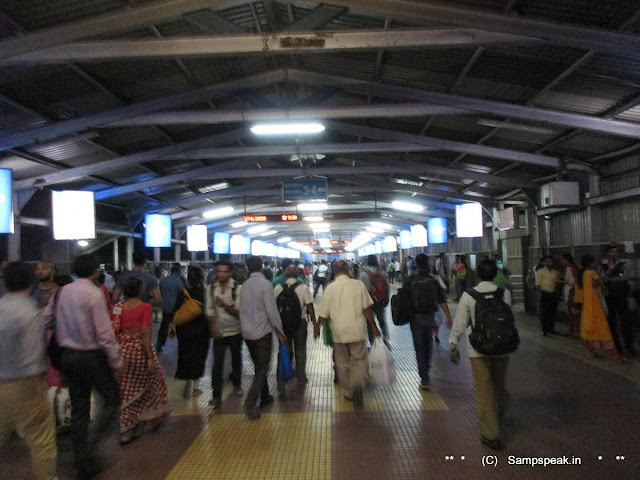 Felt happy to visit this station, walk around – people were busy, every train was so packed – there were so many shops also around the station, in the roads leading to the station. The recent demonetisation order had its impact for it was a day when there were banks and people first felt the impact of higher value currencies ceasing to be a legal tender. Here are some photos of the place – the picture of a locomotive seen at the start of the post, was taken in Railway Museum, Delhi. Not sure whether any one of those (Sultan, Sind, Sahib) is languishing over there now.